Now available to the University of Cambridge electronically from volume 6 (2018) to present. Access Journal of Italian Cinema and Media Studies via the Journal Search or from the iDiscover record. “The Journal of Beckett Studies has been the journal of record for the established and expanding field of Beckett studies for over forty years. It has always been blind peer-reviewed and is recognised internationally as a scholarly journal of high standard. Now available to the University of Cambridge electronically from volume 9, issue 2 (2000) to present. Access Journal of Beckett Studies via the Journal Search or from the iDiscover record. The English Faculty Library and the University Library are delighted to announce the availability online of the Drama Online “Shakespeare Globe on Screen” collection. Access the collection via the Drama online platform here. Plays are listed here and identified by a video icon next to them. Antony and Cleopatra, Julius Caesar, The Comedy of Errors and Titus Andronicus will be available in 2016. Love’s Labour’s Lost by William Shakespeare with Philip Cumbus, Trystan Gravelle, William Mannering and Jack Farthing. 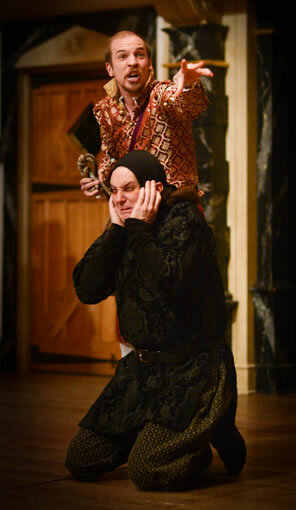 Using every kind of verbal gymnastics to poke fun, Shakespeare’s most intellectual comedy is brought to hilarious life in Dominic Dromgoole’s highly entertaining production, rich in visual humour and sexual innuendo. Run time: 167 mins. Much Ado About Nothing by William Shakespeare contrasts the happiness of lovers Claudio and Hero, and the cynicism of sparring partners Beatrice and Benedick, who are united in their scorn for love. Marking the debut of director Jeremy Herrin at the Globe Theatre, this production features Eve Best as the feisty and high-spirited Beatrice and Charles Edwards as her cynical counterpart, Benedick. Run time: 166 mins. Othello by William Shakespeare featuring Eamonn Walker and Tim McInnerny. One of Shakespeare’s most exciting, atmospheric and heart breaking plays. This is a tale of uncontrollable jealousy, deception and murder driven by one of theatre’s greatest villains. Run time: 180 mins. The Tempest by William Shakespeare. Prospero, Duke of Milan, usurped and exiled by his own brother, holds sway over an enchanted island. He is comforted by his daughter Miranda and served by his spirit Ariel and his deformed slave Caliban. When Prospero raises a storm to wreck this perfidious brother and his confederates on the island, his long contemplated revenge at last seems within reach. Run time: 161 mins. The Donmar Warehouse offers freely available behind the scenes study guides to some of their productions. The guides offer background information to the playwrights and the play as well as detailing the process of putting on productions at the Donmar. Click on the images below to take e look at some of the guides. The English Faculty Library and the University Library are delighted to announce the acquisition from joint funding of the Nick Hern Book Collection to the Drama Online resource. providing contextual and critical background through scholarly works and practical guides. Unique Play Tools with Character Grids, Words and Speech graphs and Part Books offer a new way to engage with plays for close study or for performance. The Drama Online library features the pre-eminent theatre lists of Methuen Drama, the Arden Shakespeare, Faber and Faber and Nick Hern Books, as well as production photos from the Victoria and Albert Museum and The American Shakespeare Center and audio plays from L.A. Theatre Works. Girton’s orchard. Ralph waits leaning against a tree. Tess appears. It’s dark and very quiet. She creeps to one tree. He creeps to another. She moves in the shadows from tree to tree, becoming increasingly anxious. Ralph Well, Miss Moffat, it’s a pleasure to meet you properly. They shake hands rather formally. Beat. Well, this is rather unconventional, isn’t it. I probably should have asked you to a clarinet concert, not to some spooky orchard. Tess It is a bit. Ralph Isn’t it! (Ghostily.) Woooo! Look, please forgive me, I hope you don’t mind; I thought I might – read you something. Ralph Yes. But I’m not very literary, so it might be disastrous. Ralph It’s a poem. But it’s… actually, maybe I shouldn’t. He takes a slip of paper out, looks at it. Ralph Alright. It’s a love poem. e per mercé ne trai vera sentenza. di cu’ el meo cor gradir molto s’agenza. verde, fronzuta, con bella accoglienza. Ralph That’s not the end. camicia di suo dosso, a mia parvenza. Tess Well! Well. That was quite beautiful. Thank you. What does it mean? Ralph (doesn’t know Italian) Well, it’s about a lady… who is fair… and she, well, she… it’s very… (Pause.) You know, Italian’s not really my forte. I’m a scientist. Maybe next time I’ll show you an experiment. Tess I should like that. Ralph Or I could write you a paper on Kepler. Tess How do you know I like Kepler? Ralph Your book, in the library. Tess So you knew I was an astronomer! Tess You don’t think it’s unfeminine? Ralph Anyone who can make head or tail of Kepler deserves a medal in my book. I’m using my copy as a doorstop. I think you being here – ladies studying – well, it’s grand. 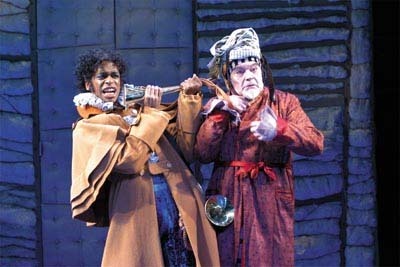 From ‘Rosencrantz and Gildenstern Are Dead’ by Tom Stoppard. Following a success trial period we would like to announce that access to Drama Online has been acquired for members of the University of Cambridge. Drama Online is an award-winning resource aimed at literature, theatre and drama students. The collection includes scripts to for over 1200 plays, including plays by Henrik Ibsen, Noel Coward, Aeschylus, Yasmina Reza, Tom Stoppard, Sue Townsend and Bertolt Brecht. The scripts can be viewed online, searched by Act or by keyword or printed. The plays can be found by searching for the title, by genre, by period or by playwright. Each playwright has a biography and a list on plays available to view.